Richard J. Seguin, 76, a resident of Peabody and formerly of Newburyport, died Friday evening March 29, 2019 at the Kalpan Family Hospice House in Danvers. He was born on August 28, 1942 in Lawrence to the late Joseph and Rita (Blais) Seguin. Richard was raised and educated in Lawrence and was a graduate of Central Catholic High School. He then attended Merrimack College, graduating with his degree in chemistry. Richard was employed for many years as a research medical chemist for New England Nuclear before moving on to Dupont Labs where he worked for over 20 years before his retirement. 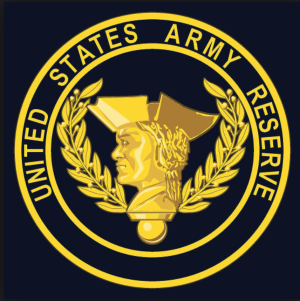 Richard was also a member of the U.S. Army Reserve from 1966 to 1971. He enjoyed spending time on his computer, reading and playing cribbage with friends. Richard is survived by his wife Delphine M. (Anderson) Seguin of Peabody; and cousins, Kim Pagley and her husband Dana, Dean Robinson and his wife Nancy, John Pagley and his wife Katie, and Dean Robinson, Jr. and his wife Barbara. Family and friends may call on Wednesday April 3, 2019 from 4:00 to 7:00 PM at the Twomey, LeBlanc, & Conte Funeral Home 193 High St. Newburyport, MA 01950. His Funeral Service will be celebrated at 10:30 AM on Thursday April 4, 2019 at the Funeral Home. Burial will be private at a later date.